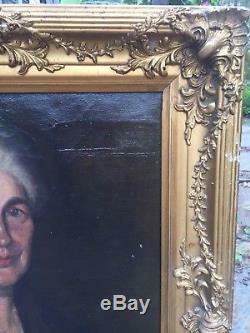 Antique Portrait Oil Painting Older Woman Holding Rose Gold Gesso Frame. 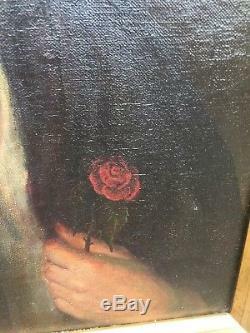 From a fine Massachusetts estate..
Nicely done unsigned antique oil portrait of an older woman holding a rose. 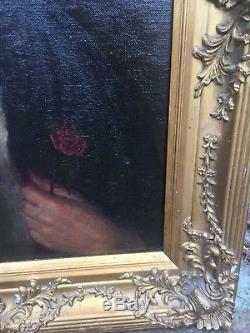 We do not know the age of this painting but it does seems to be from the Victorian era. 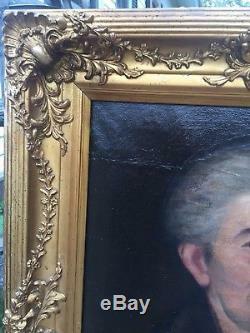 This painting has two tiny repairs. 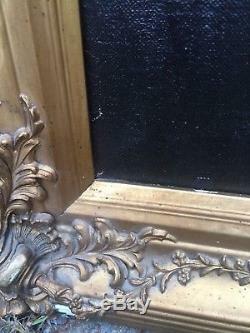 Framed in a wooden painted gold and heavily gessoed frame. 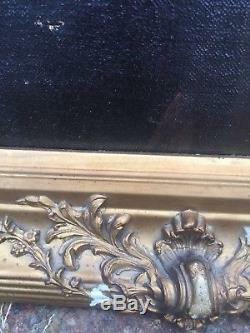 Frame has a bit of missing gesso on the bottom. 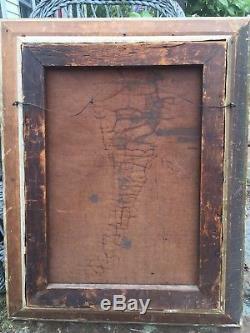 Measures, as framed 29.5 x x 23. 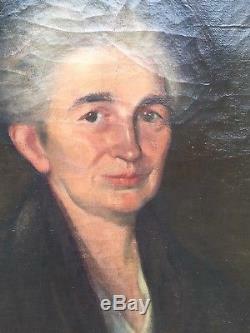 Please message us with any questions. 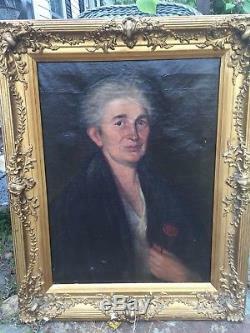 The item "Antique Portrait Oil Painting Older Woman Holding Rose Gold Gesso Frame" is in sale since Thursday, October 4, 2018.